Nutfield Genealogy: Weathervane Wednesday ~ A Mystery! Can you help solve it? Weathervane Wednesday ~ A Mystery! Can you help solve it? Weathervane Wednesday is an on-going series of photographs. This week, instead of posting a weathervane I know, we are having a bit of a game. Today's weathervane was sent in by a reader, but he doesn't remember where he photographed it. He knows it was either in Maine or in Essex County, Massachusetts. 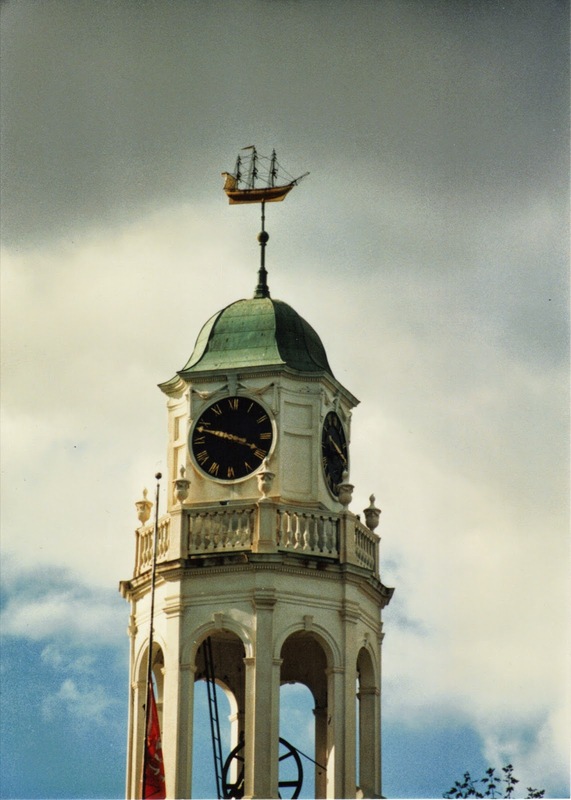 This lovely weathervane has a wonderful, three dimensional, three masted ship on top of a clocktower. The photographer, New England historian and author Glenn Knoblock, doesn't remember where he took this photo. If you know the location, it would help solve the mystery! 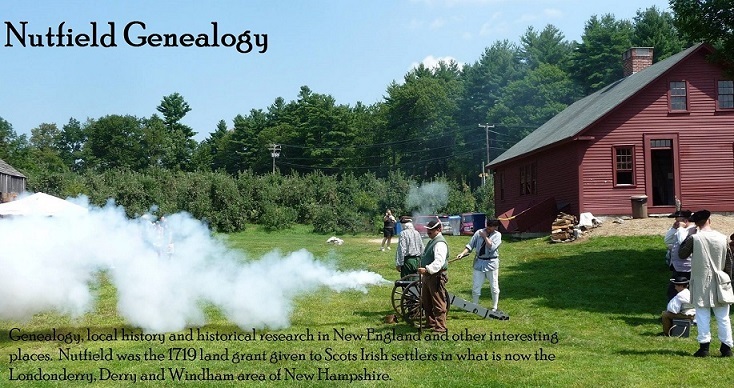 Author Glenn Knoblock says he used to live in Exeter, so this makes sense! Haven't found it but did have a neat time checking out comparables in Google Images. Mystery solved! It is the bell tower at the Academy Building at Phillips Exeter Academy in Exeter, New Hampshire. Two people identified it from the red flag with the rampant lion.